A while ago I noticed a weird looking sprocket on Matt Ridgeway’s bike, very different from most. I’ve never seen a sprocket that used a half tooth sprocket system, two links between each tooth. 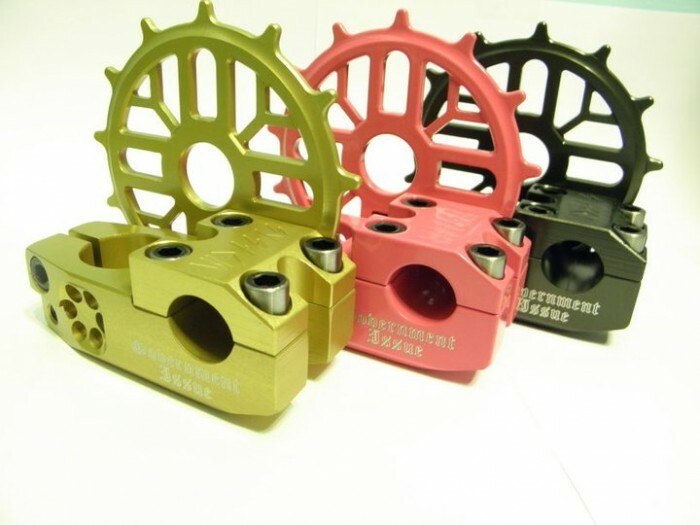 Matt gave me some info on the sprocket and we got more info on it from Andrew Macleod, owner of System bmx. 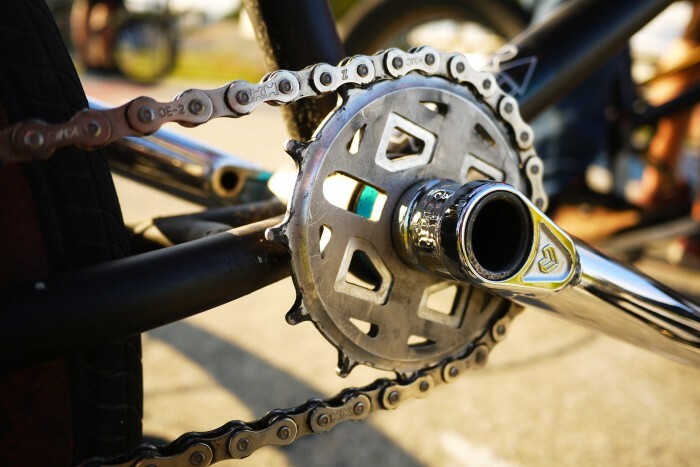 “The sprocket is just a half tooth sprocket system, where the missing tooth has the radius of where the chain rides so that the chain will ride as if there was one there, it just makes putting a chain on easier and makes no difference in torque value (no one will be shredding teeth unless they sprocket chunk the world first lol)” Andrew Macleod. Andrew/System is based out Edmonton, Alberta. The team consists of Devin Szmata, Joe Rombs, Duke Thomson-Kurz, Darcy Peters, and Mathew Ridgeway. For more info on system check out their FB page here. 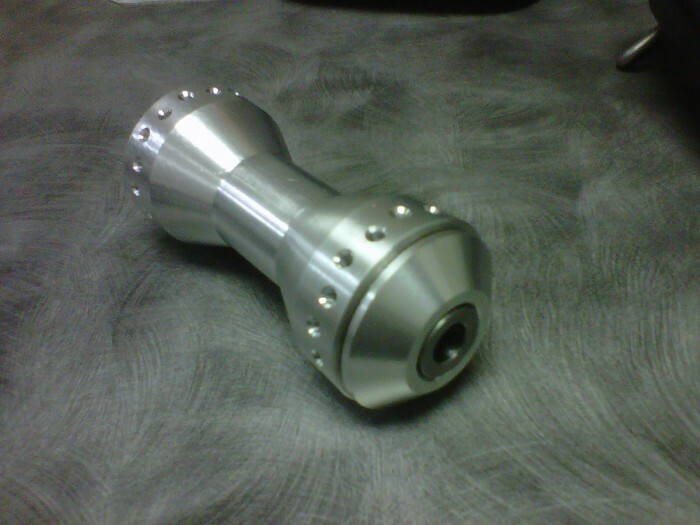 Andrew hooked up some a couple pics of his System stems and prototype hub below.